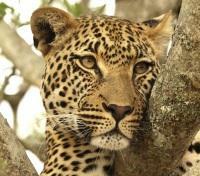 Experience six consecutive days of safari tracking in top South African game reserves. 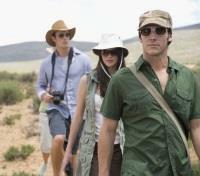 Get closer to the wildlife than you ever dreamed possible in the company of experienced trackers. 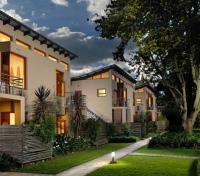 Receive VIP assistance upon arrival in Johannesburg. Africa is a magical place, no matter the time of day. This trip is living proof. 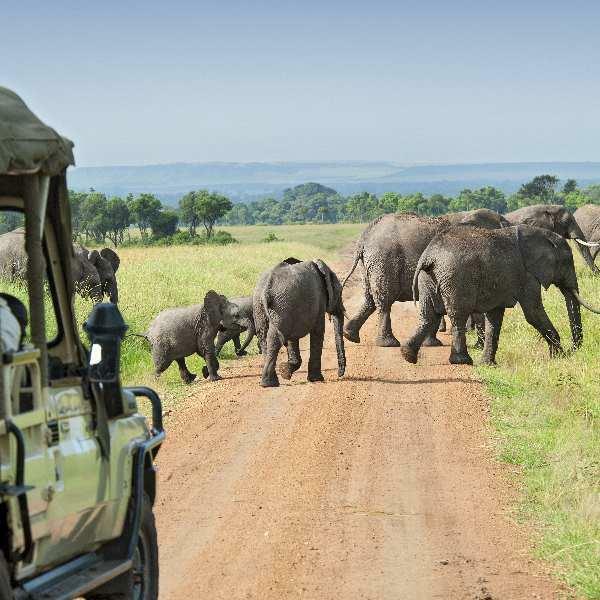 Designed for serious safari lovers, this tour lets you spot the animals that roam the savannah by day during daily game drives through the Thornybush Game Reserve and Sabi Sands Game Reserve while a skilled ranger provides expert insight into the wildlife and their environment. Later, experience the rawness of nature from the comfort of a safari vehicle as your highly trained tracker expertly scans the horizon with a spotlight in search of nocturnal prowlers on an exciting nighttime safari. Throughout, you’ll stay in traditional African safari camps where antelope and vervet monkeys roam freely and the sounds of the wild African savannah lull you to sleep under a blanket of stars. 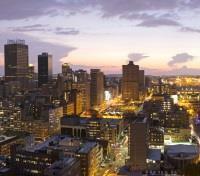 Board a flight in Johannesburg with direct service to Hoedspruit. Approximate flight time is one hour. Please note, luggage restrictions apply to this regional flight: 1) Maximum of one checked bag, weighing up to 50 lbs (23 kg); Checked baggage cannot be larger than 62 linear inches (158cm). 2) Guests can also bring one piece of carry-on luggage with a maximum weight of 17 lbs (8 kg). Guests may also bring one slimline laptop bag. 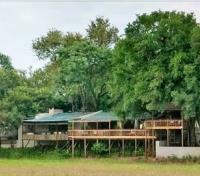 Start your safari with a private transfer from Hoedspruit to your lodge in the Thornybush Private Game Reserve. Approximate travel time is one hour. After getting yourself settled into your lodge, meet with other guests and head out into the incredible African wilderness alongside a ranger and tracker. No safari trip is complete without intense game viewing adventures. 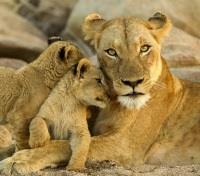 At Thornybush, you will traverse throughout this private reserve to witness a near unimaginable range of animal life. The Big 5 are only a few of the incredible fauna you will witness throughout your trip; be sure to have your camera ready for action! After a few hours out on the plains, you will be returned to your camp to freshen up for a culinary experience you won’t be soon to forget; a delicious, freshly-prepared meal enjoyed under the evening African sky. Washed with the warmth and color of the afternoon sun, the luxury tents of Chapungu overlook the magnificent bushveld of Thornybush. 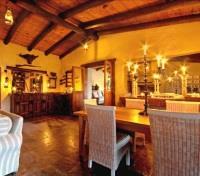 Here guests can relax and reflect on the tranquility and intimacy afforded by this small camp. 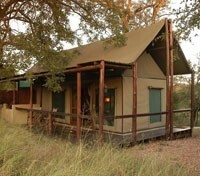 Eight comfortable tents, each with private facilities and featuring a bushveld bath, connect by pathways to the main camp. Offering an authentic safari experience in an atmosphere reminiscent of times past, Chapungu is ideal for guests seeking a luxurious stay while in Thornybush. The day begins as dawn breaks over the African bushveld. Depart in an open 4x4 vehicle with your ranger and tracker to learn more about the bush while observing its many inhabitants. Where possible, you may be invited out of the vehicle to see tracks, examine individual plants and follow spoors. Hunt for tracks to see what the animals have been up to during the night and track them down, snapping photos along the way before returning to your lodge for an outstanding and aromatic breakfast. 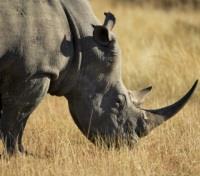 Continue your adventure here at Thornybush with an action packed afternoon game drive. The small rolling hills of the reserve set a picturesque backdrop to view a diverse number of species in the undisturbed wilderness. Since 1955, the reserve has been a nature lover’s paradise. You will be out exploring for a few hours before returning to freshen up for dinner. Before the blistering sun takes its place high in the African sky make use of the opportunity to discover even more wild game. First thing in the morning, depart to discover the animals of Thornybush, home to herds of trumpeting elephants that gently wander through the savannah. As in the day before, you will be returned to your lodge after a few hours of game viewing to enjoy a complete and hearty breakfast. 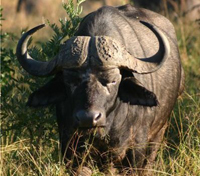 Bush walks afford the chance to see some of the smaller wildlife of the area, as well as an opportunity to learn more about the localized flora and fauna of the region, that is often overlooked or underappreciated on proper game drives. Shangaan trackers will captivate you with insights to the historic medicinal practices and other uses of the many plants and trees unique to the region, complimented with traditional folklore tales. Under their guidance, you will have an opportunity to follow and understand the tracking processes in further detail while learning just some of fascinating history of the peoples who have lived here for centuries. 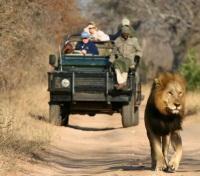 Transfer from Thornybush to your lodge in Sabi Sands with a private driver and vehicle. Travel time will vary based on your departing and arrival lodge. Approximate transfer time is three to four hours. Spectacular, untamed and coveted by outdoor enthusiasts, Sabi Sands Private Game Reserve is revered for good reason; it is one of the best locations in the world to spot game, including the Big 5. On the Sabi, massive elephants roam as families, black and white Rhinoceros graze the grasslands, Cape buffalo cautiously track along riverbeds, leopard’s prowl, and lions roar. Discover this unbound land for yourself as you head out on your first afternoon game drive alongside your ranger, tracker and other guests of the lodge. Explore this incredible land for a few hours with a camera in hand, gaining insights into the region as the sun sets. Before long you will find yourself back at the lodge, just in time to prepare for an outstanding safari dinner under the stars. Notten’s Bush Camp is one of the finest family run lodges in Africa, and perhaps the best kept secret in the Sabi Sand Game Reserve & Greater Kruger National Park. As one of the original private game lodges in South Africa, Notten’s Bush Camp offers a truly authentic African safari experience. This beautiful, intimate safari lodge is situated within one of South Africa’s finest natural sanctuaries; a destination that will truly touch your heart and soul. Each private suite is elegantly styled, spacious and cooled by ceiling fans. A magical atmosphere is created with the purposeful absence of electric lighting; the ambient candlelight and lanterns capture an enchanting spirit of romance. With splendid panoramic views, Notten’s Bush Camp is the perfect place for peace and relaxation while enjoy superb game viewing. Before first light, gear up and head out to further explore Sabi Sands. Sunrise and sunset are when the animals are most active; in particular, herds of elephants roam the expanses of the Sabi in the morning hours as the glow of dawn radiates. Although the largest living mammal is well-known to most, there is nothing quite like seeing a herd of up to a hundred elephants freely wandering through the open plains; it is sight few people will get to enjoy and that none will forget. After a few hours out in the reserve you will be returned to your lodge for breakfast to enjoy a satisfying and well-earned breakfast. 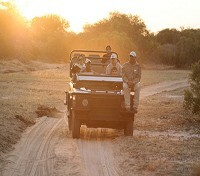 With the afternoon in full-swing, it is time to head out on an open 4x4 vehicle for another afternoon of game viewing. With the sweltering sun on the decline, nocturnal animals begin their nightly routines. Along well-marked roads or entirely off the beaten path, your tracker will bring you into the heart of the Sabi in search of both predator and prey. 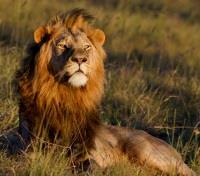 On the trail of the king of jungle, perhaps you will be fortunate enough to witness a pride on the hunt. Sit back and relax, always with a hand ready for to snap photos of your favorite animals, as you explore the land for a few hours before returning to camp to freshen up ahead of another incredible dinner. 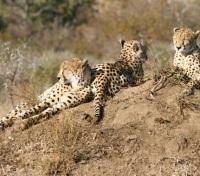 As in mornings past, you will rise before the sun to explore the African savannah to head out on another game drive. 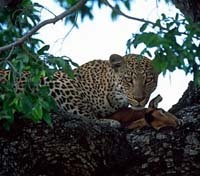 Sabi Sands is the oldest private game reserve in South Africa. Named for the Sand and Sabie rivers that run through the reserve, it is home to many endangered species such as the wild dog, honey badger, ground hornbill and the oxpecker. 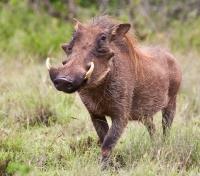 Who knows what rare animals you will spot today as you explore the Sabi reserve ahead of another exceptional breakfast? Night game drives allow you to observe nocturnal animals that are typically absent during the day, and a host of daylight animals which behave quite differently under the cover of darkness. Setting out as the sun sets, you may spot leopards in particular, and with a bit of luck, encounter these predators while on the hunt. 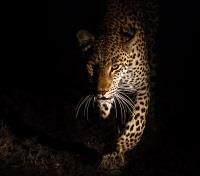 During evening drives, trackers employ a powerful spotlight to search for and showcase predators and prey alike. Lions, African civets, honey badgers, aardvarks, bat-eared foxes, mongooses, genet cats and nocturnal birds like owls and nightjars are just some of the wildlife fortunate guests may spot this evening under the starlit African sky. Transfer from Notten's Bush Camp in Sabi Sands to Skukuza Airport. Approximate travel time is one hour. Board a flight at Skukuza Airport with direct service to Johannesburg. Approximate flight time is one hour.